The home inspection process is an important part of buying any home, and not one you should sit out of, but instead take an active role. It can involve more than just a general building inspection. Inspecting for things like termites, radon, and sewer lateral problems is also extremely important, just to name a few. While a general building inspector is trained to see problems with a home’s primary systems, sometimes it takes a specialist to reveal latent defects. Is my inspector qualified and experienced? We recommend using an inspector who is American Society of Home Inspectors (ASHI) certified. The rigors of such a certification insure that your inspector is experienced and that the scope of the inspection is thorough. When it comes to choosing the right inspector, besides this designation, a buyer is wise to accept the recommendations of friends and/or one of your agents at Jon Mendelson, REALTORS. Your agent can also give you guidance on other supplemental inspections that might be wise depending on the type of property you are purchasing. What will be covered in the inspection and how long will it last? Knowing how much time the inspection should take will help you schedule appropriately so that you can be there. And speaking to your inspector prior to the inspection(s) should give you an idea of the scope and depth of the report that will follow. Knowing what systems will be evaluated, and identifying the areas with which you lack familiarity can be an extremely valuable exercise that will help you get the most out of your inspections. Even asking the inspector for a sample inspection report would be appropriate. Who should fix the defects and problems discovered and how much will it cost? This is a tricky area. The important thing to remember at this stage is the difference between a defect and an improvement. An additional purpose of inspections is to not only discover latent defects but to teach you how your future home works and how to maintain it such that small problems don’t blossom into huge ones. Asking your inspector how much it will cost to repair a certain defect can put the inspector in a difficult position as they are not contractors and are not able to anticipate the actual costs once the repair commences. However, it is their job to give you some relative understanding as to the possible expense. For instance, your inspector might say that a defect is minor and would cost less than $50 to repair. Or your inspector might say that a repair could range between $1,000 and $3,000. In this way, a good inspector can help you prioritize the remedy of defects by giving you a rough idea of the scope of the problem, and whether it can be repaired with minimal expense or not. 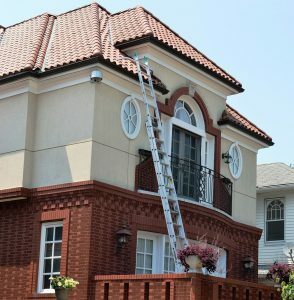 Likewise, a good inspector can explain whether something is unsafe but relatively easy and inexpensive to fix. It is your Buyer’s Agent, us, that should help you strategize as to which defects to pursue, which to forgo, which need immediate attention, and which can wait a significant amount of time or forever. A good inspector also should make themselves available even after the inspections and reports are finalized to help you understand possible next moves.